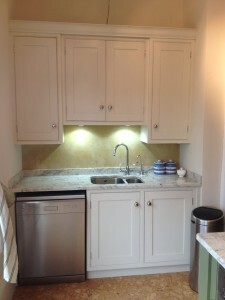 Last year we worked with a customer who needed some work done in their kitchen. 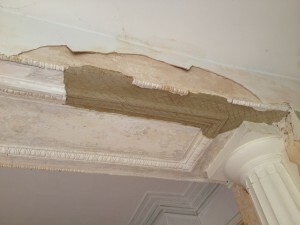 This was a really interesting project which allowed us to use a variety of decorative plaster work. 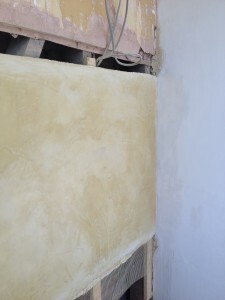 These photos show the exposed lathes with the render removed. 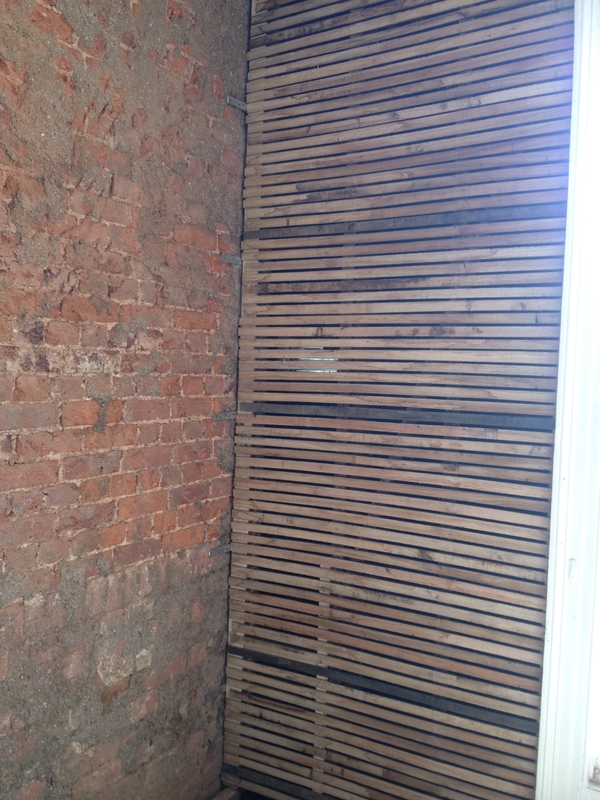 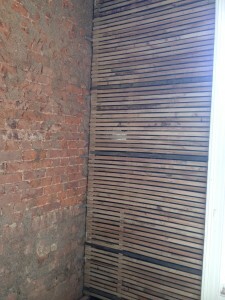 The second picture shows the restored lathes ready for lime render to be applied. The three photos above show the restoration of a chunk of decorative ceiling plaster. 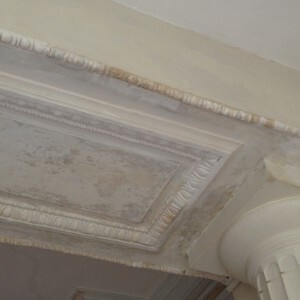 The second photo shows the restored plaster work; this intricate work was done by hand in order for it to match the rest of the plaster work. At Earthouse we try to only do what really needs doing and to keep the original features of a property wherever possible. 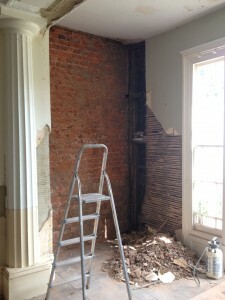 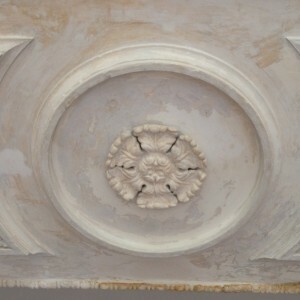 The central plaster rose is a lovely feature of the house which we wanted to preserve. 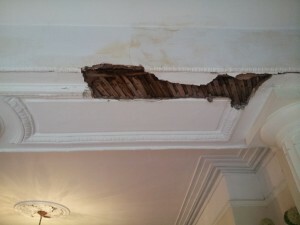 The previous paint work had hidden a lot of the more intricate details so we uncovered this. 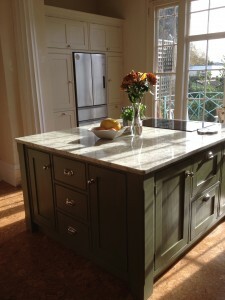 We were very lucky to have a customer who was willing to try something a bit different. The above photos show Venetian plastering being used as a splash back in the kitchen area. 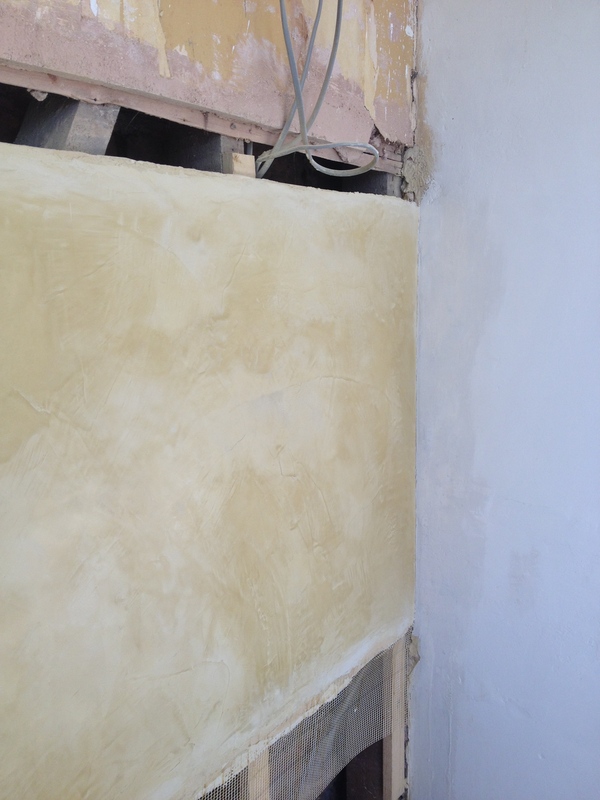 The polished plaster surface means that it is very versatile and can be used to add colour and texture even in kitchen areas.